Martin McDonagh brings us a great action comedy in his first feature film endeavour. Colin Farrell portrays a hitman named Ray. Ray is currently in a bad state, because he is guilt-ridden because of a job gone wrong, where he accidentally killed an innocent bystander. He and his partner in crime, Ken (Brendan Gleeson) get put in a small bed and breakfast in Bruges, Belgium. They are told to wait there by their boss, Harry (Ralph Fiennes), who tells them to sightsee and enjoy the scenery. Ken’s all up for it, but it’s not particularly something that interests simple-minded Ray. Once Harry finally gives the job to Ray, he isn’t sure if he can go through with it – and must have an internal fight of morals to make his final decision. McDonagh has a real knack for making the seemingly worst of people, like in this film hitmen, and turn them into great and fairly likeable character. Ray is likeable, despite his constant pessimism and irritability. In McDonagh’s most recent film, and second feature film, Seven Psychopaths, he makes a set of psychopaths into likeable characters. His unique character development is great because you can easily get emotionally invested into these colourful characters. Each character is pretty great. There are quite a few gruesome scenes, but they are pretty fun to watch, especially if gruesome action is your forté. The comedy is pretty great, I was chuckling in a few scenes and was laughing uncontrollably in others. If you do love this sort of gruesome action and McDonagh’s brand of comedy, it’ll sort of be an action-comedy styled Heaven. Colin Farrell, Brendan Gleeson, Ralph Fiennes, Clémence Poésy, Jérémie Renier, Jordan Prentice, Thekla Reuten, Mark C. Donovan, Zeljko Ivanek, Eric Godon and Rudy Blomme star in this film. In Bruges is a great cinematic experience that is unique and definitely deserved that Best Original Screenplay nomination. Some of the comedy is really far between, and some scenes aren’t as memorable as others, but that’s really its only flaw. I don’t think I’ll rush back to watching it, but I’m glad I did, because it was pretty fun and had some great characters with great layers. Tagline: No one is safe. 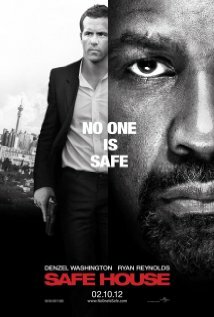 Matt Weston (Ryan Reynolds) is a young CIA agent whose mission is to go to this safe house and look after a fugitive, Tobin Frost (Denzel Washington). Frost used to be a great CIA agent, until he turned rogue. It turns out others want Frost dead, too. After the safe house is attacked, Weston must protect Frost at all costs. The action sequences are pretty great at the time, but they aren’t very memorable at all. There’s also quite a few boring scenes. The plot also isn’t all that memorable either, and it can get a little complicated at times – when you’d think a film with such a seemingly simple plot wouldn’t involve any thinking power at all. The performances are decent, Washington is the best in his role, though. This movie stars Ryan Reynolds, Denzel Washington, Vera Farmiga, Brendan Gleeson, Sam Shepard, Nora Arnezeder, Robert Patrick and Joel Kinnaman. 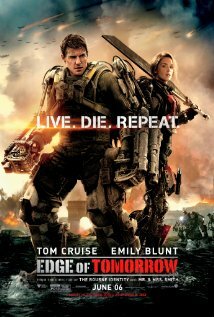 What you get is an action film I could live without, but I enjoyed quite a few aspects of it. Nothing I regret seeing but it just left a feeling of “that could have been so much better,” by the end of the running time. It isn’t a total waste of time as some of it’s interesting, see it if the opportunity comes along; as some of it has some good action and isn’t a complete fail of a film. I was generally disappointed by this really decent action flick that could have been greater, considering it has seemingly such a simple plot and a great cast, but ended up being unfortunately between average and pretty good.